Investing in yourself is the best thing you can do for your career, is the mantra that motivational speakers espouse the world over. With that in mind, I signed up this year to attend the Children’s Media Conference in Sheffield. CMC is a huge event that takes place over three days and attracts around 1500 delegates from the worlds of Children's TV, Internet, Brands, Podcasts and games. It would be fair to say that I was more than a little daunted. I was just a little writer from the westcountry, arriving at the stupendously hot city with my suitcase in tow, a pocket full of business cards, a hand full of books and a head full of dreams. After registering, I had booked myself into an optional workshop entitled Building a Bible. It wasn’t in any way affiliated to religion, but instead showed you the tricks and tips of building a great pitch document to support your idea. It turned out that this was a great place to start as we were grouped on tables with fellow writers, artists, animators and producers. We worked together to help one or two of our group to improve their pitch and critique their ‘bible’. The session was really informative and I came away with my first conference buddies, business cards and having popped my CMC cherry. As a first timer, I was granted access to the official first timer events like the drinks social, held at the historic Crucible Theatre and compeered by the amazingly energetic host Rick Adams. Drinks were drunk in the confined space above the auditorium and a game of business card bingo ensued, all kindly sponsored by Disney (though it was far from a Mickey Mouse Operation…). The opening keynote was a talk by poet Michael Rosen (how hasn’t he got a knighthood yet?) on the dangers of over-testing in education, and how the government is letting down the future generation. Sure, he was preaching to the converted, and I would have been happy with a reading of 'We're Going on a Bear Hunt', but the whole session was very informative and worthy. After a meal with some colleagues and a frantic race to see the England match (spoilers: we won, then we lost) I staggered back towards my lovely air-conditioned hotel room. The next day had a raft of sessions; from Bagging a Book Deal, to Behind the Scene at YouTube Kids, to a live E-Sports event (competitive gaming – new to me), to sessions on funding and tax breaks. No matter what your interest, you are spoiled for choice and the only criticism I could give was that there was too many good sessions to see! I'll pause here to say that my nerves were unfounded; everyone I met in Sheffield was lovely. Many commented that kids publishing and TV production were the nicest industries to work in, bar none, and I would have to agree. Everyone was welcoming and went out of their way to help, especially first timers like me. The real business of the conference is not to be found in the sessions though, but in the great social events that the organisers put on, such as a Pizza Party, club night (complete with karaoke – I did not indulge, but it was a close run thing) and the more informal break out areas. 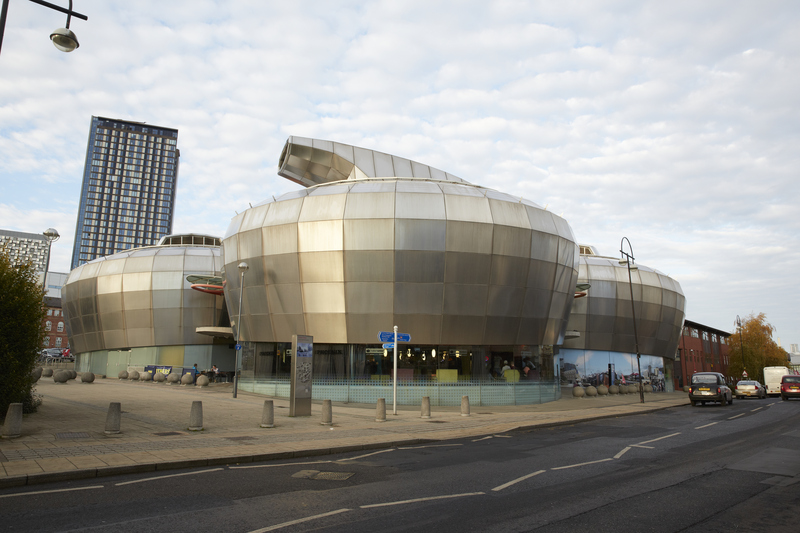 Most of the sessions took place either at the Showcase cinema or the Sheffield Hallam Uni’s Student Union Buildings and it is here that complementary beverages and lunches are provided, and you can get chatting to fellow creatives. Believe me, I’m not a chatter, but people were so accommodating and eager to share their wisdom that it became easy for this introvert. If you couldn’t get a hold of the executives then you could wait to grab them in one of the speed meetings (five minutes only, just enough time to pitch and run away) or even in the bars late at night. All in all, I’d highly recommend going to to anyone wanting to broaden their career into children’s media, BUT: do your homework. Peruse the delegate list and programme beforehand, plan out who you want to meet and what session to go to. Stock up on business cards (yes, we still use them!) and go armed with ideas for projects. If you don’t, you’ll find yourself floundering with overwhelm. Thanks for sharing your fab & useful time at CMC, Dan. It's often difficult to judge exactly what one will get out of going to these often-costly events so your description AND your advice on preparing and knowing something of what you want to get out of it beforehand is great. Thanks Penny. Forgot to mention another highlight: the Put Your Money Where Your Mouth is Session was inspirational! Imagine Dragons Den but only with children's TV shows. The writer pitches their show to a panel who auction with real money for the right to develop their show. Video up on the CMC site soon I hope. That sounds very interesting - I hadn't heard of this, and I have a daughter who studies in Sheffield. I will look out for that next year. Thank you.